This is the first notebook I have bought in a while. I was sick of lugging around a large notebook since I mostly take notes on the computer, but sometimes it is more convenient to write something down. I knew I did not want the Moleskin notebooks. 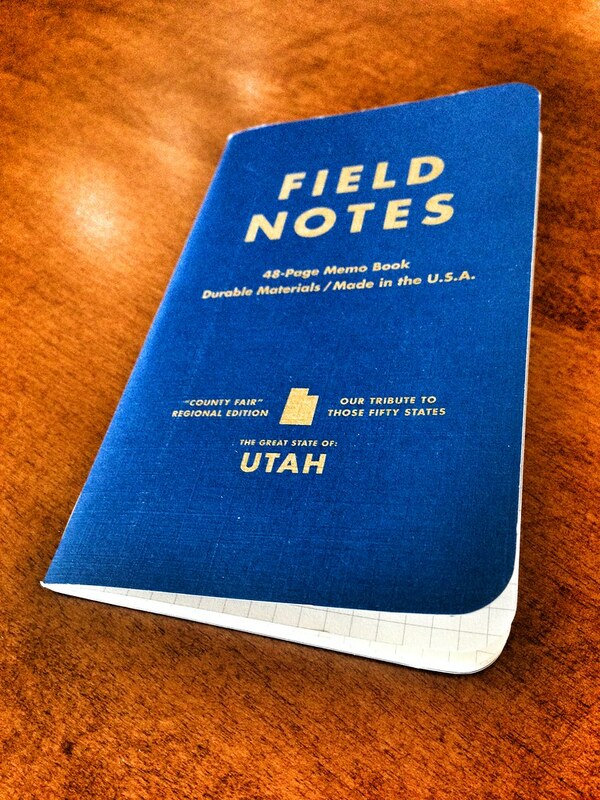 I came across Field Notes from Uncrate. They are handmade in Chicago and they even have subscriptions so you never forget to pickup a new notebook. They are very portable and come in different types of paper (e.g. lined, graph). They have different styles that include states, colors, and other themes. Try them out if you are looking for a small notebook that is unique. If you are local to Salt Lake City, you can pick them up at Fresh in the 9th and 9th District.